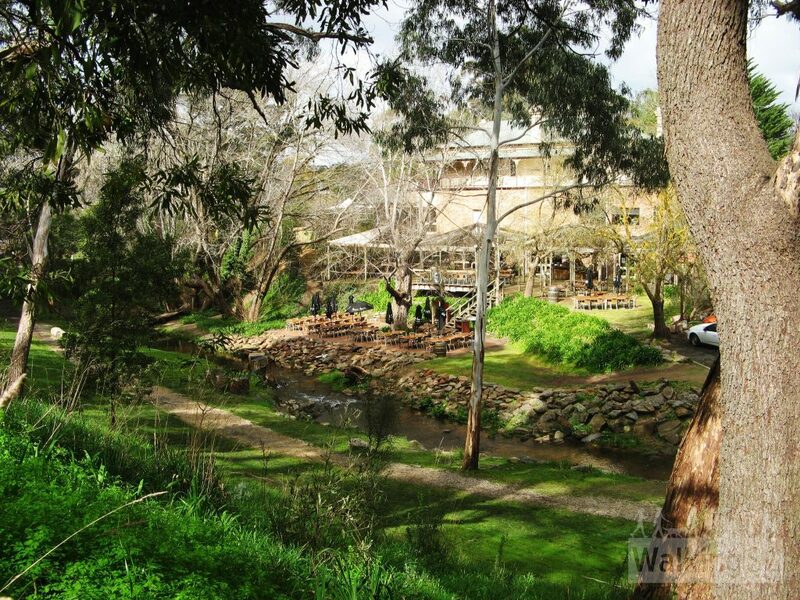 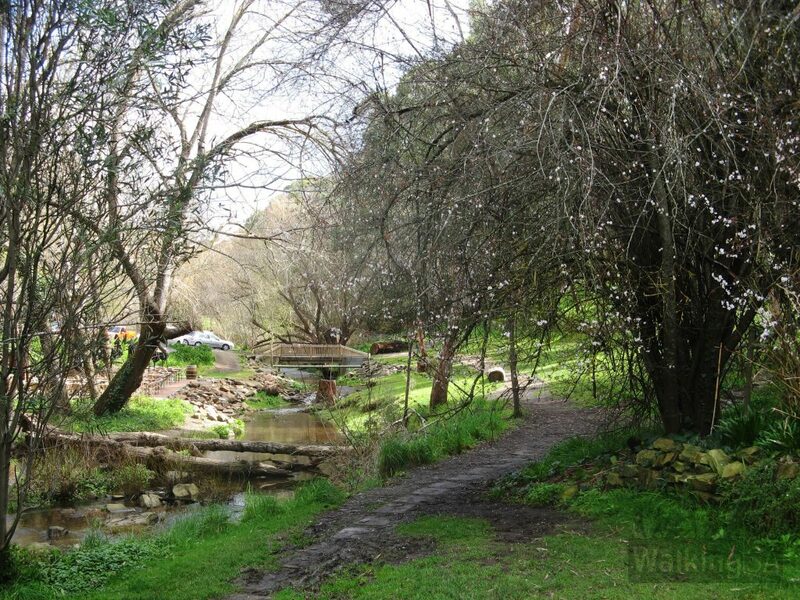 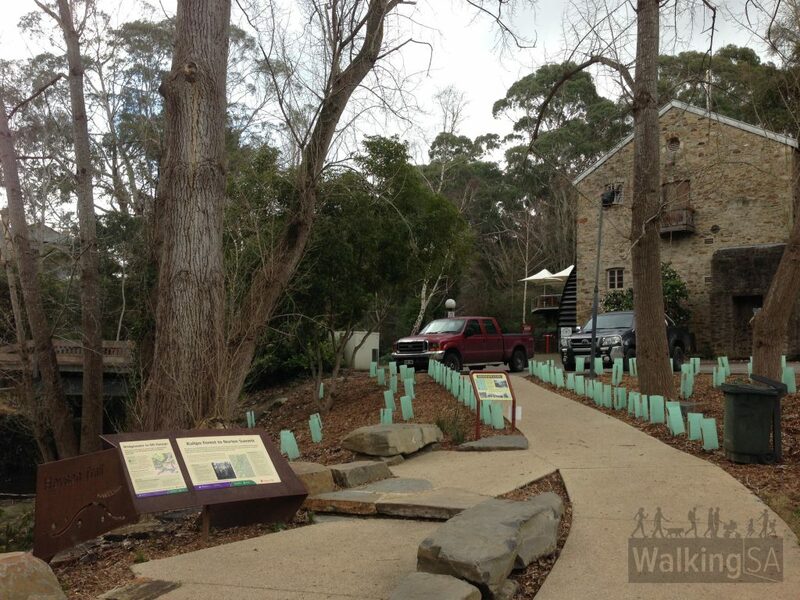 Take the kids on a 1km each-way walk from the playground near Old Bridgewater Mill, along the Heysen Trail to the fairy garden at Deanery Reserve. 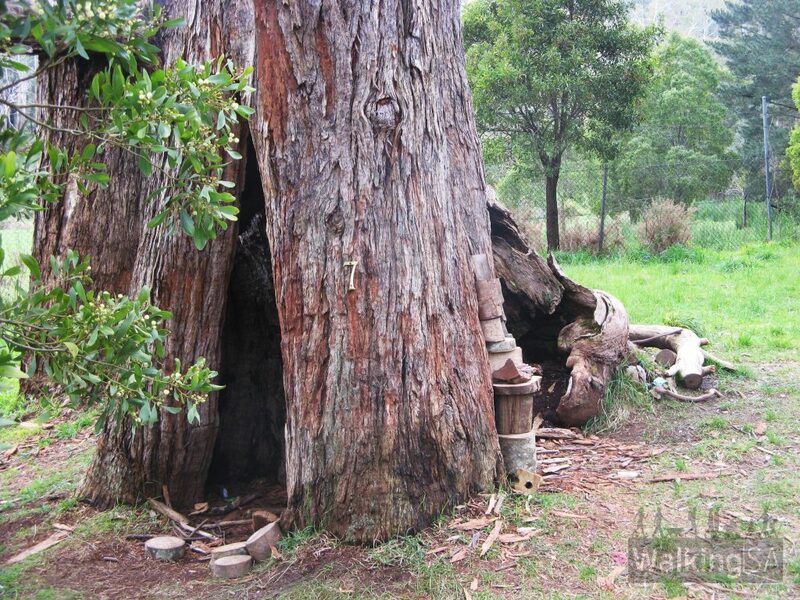 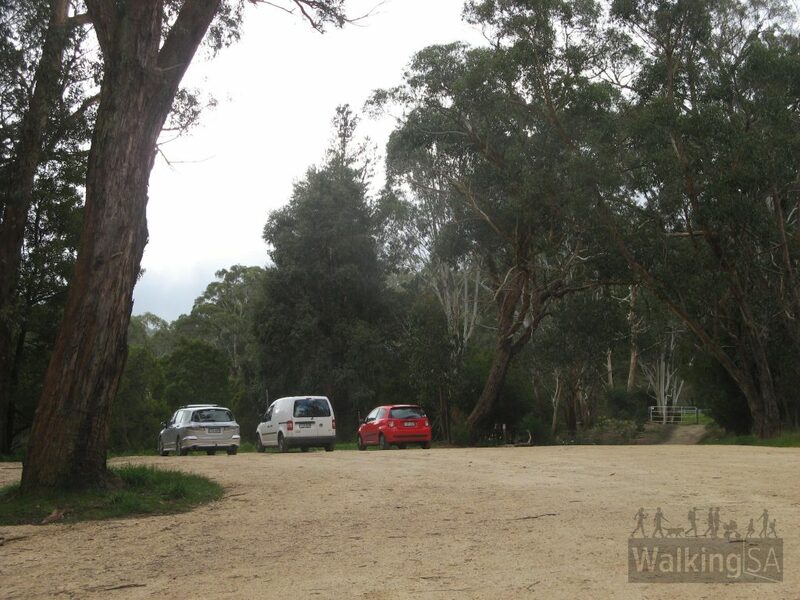 The walk starts at a Heysen Trail trailhead, next to the playground and toilets in Bridgewater. 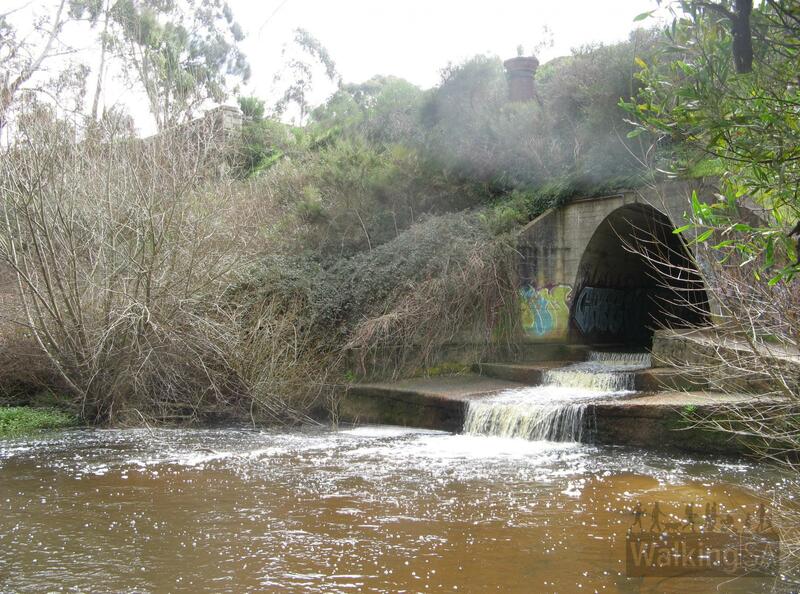 The Heysen Trail follows the old mill’s water race to Cox Creek, then through a short tunnel under the railway. 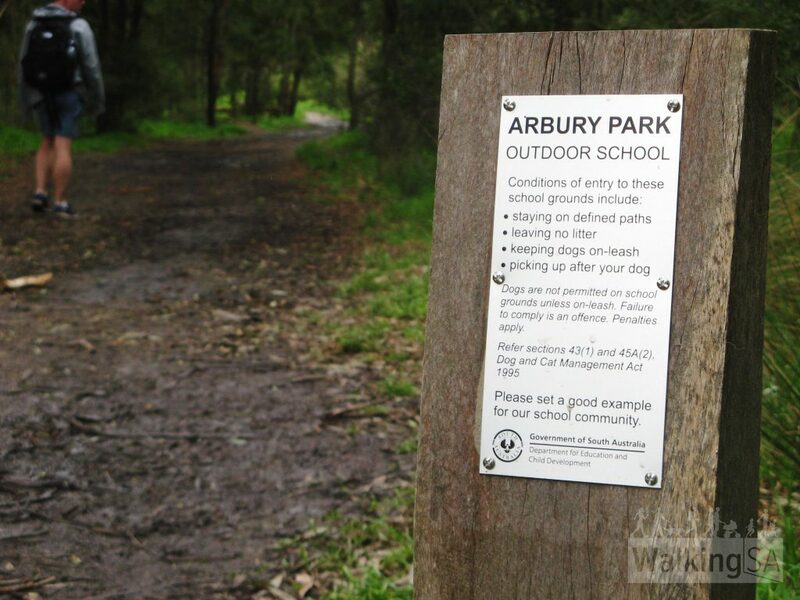 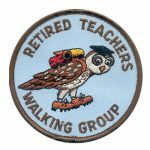 From there, the trail meanders through the Arbury Park Outdoor School forest – watch out for ducks, before arriving at Deanery Reserve. 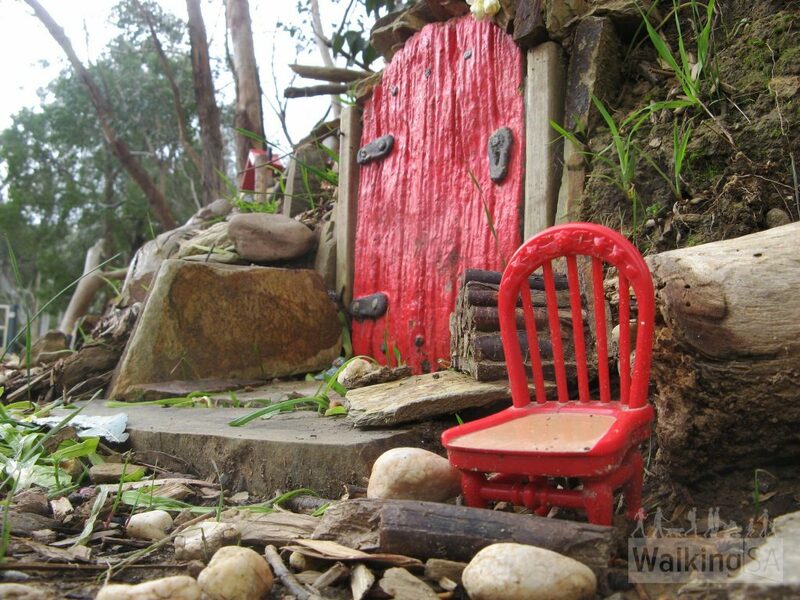 The fairy garden is located beyond the bridge (when walking the Heysen Trail from Bridgewater, turn right at the bridge, don’t cross the bridge), close to the freeway. 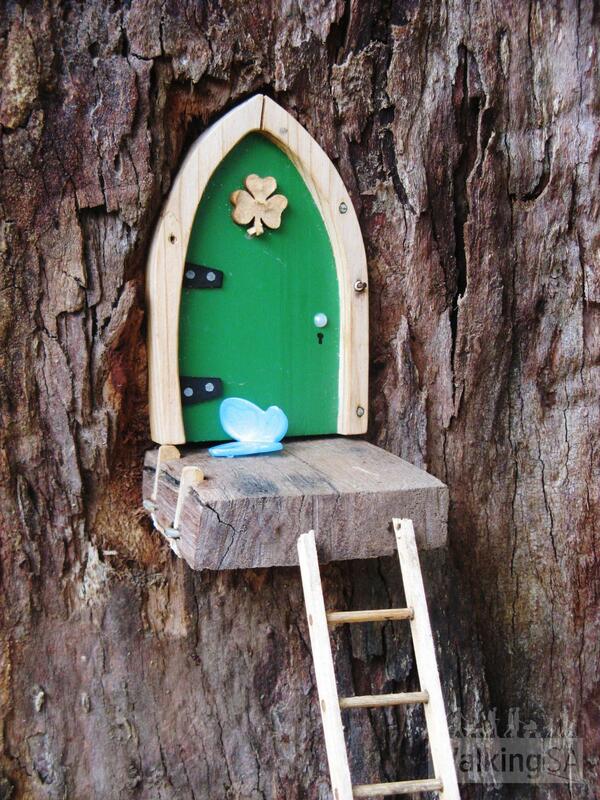 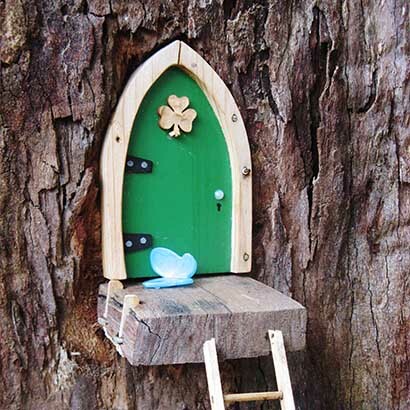 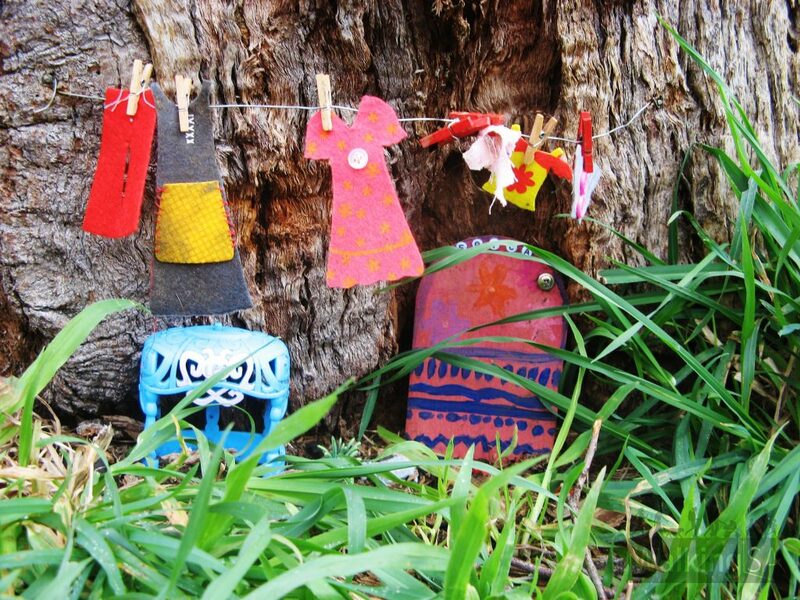 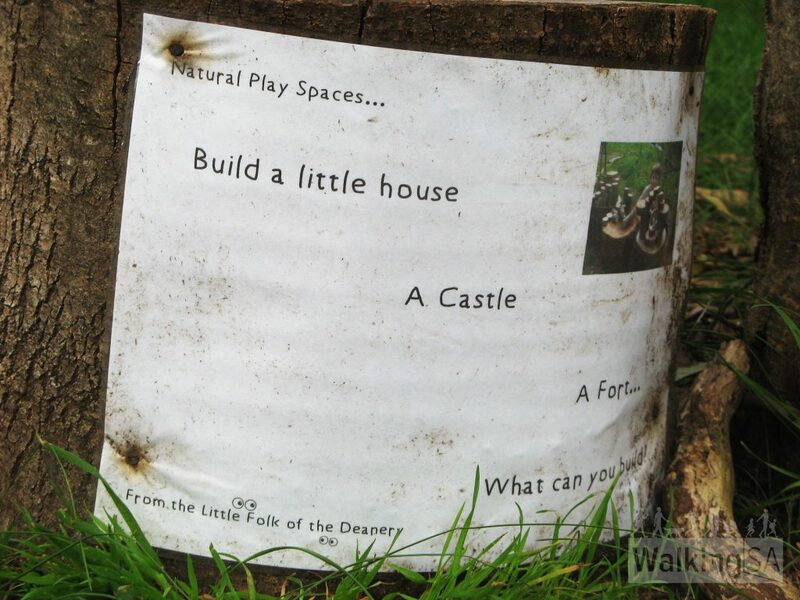 The fairy garden is scattered throughout trees near the carpark. 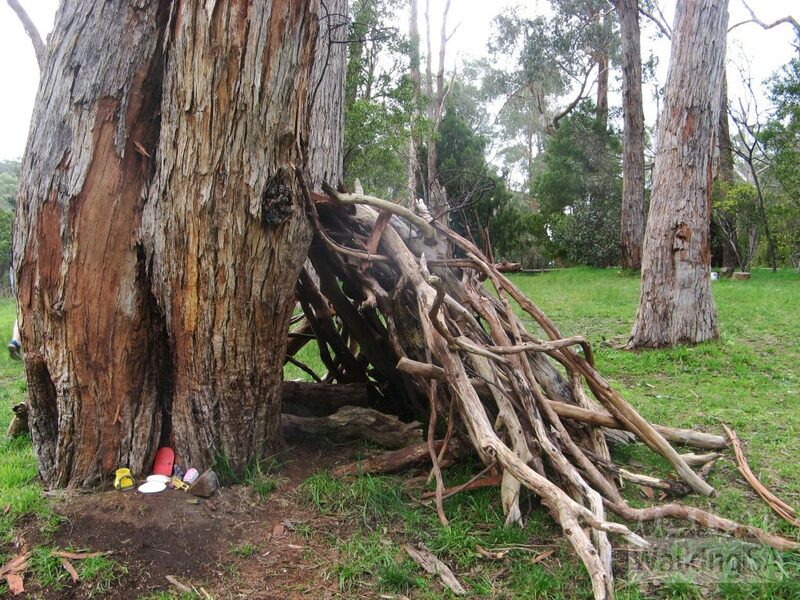 There are plenty of branches and other hidey-holes for kids to play in. There are toilets at Bridgewater. 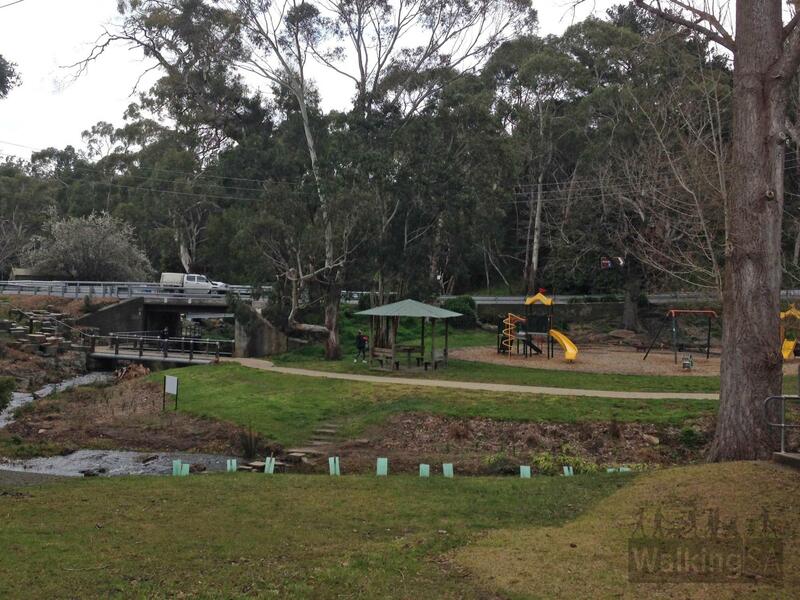 There are no facilities in Deanery Reserve. 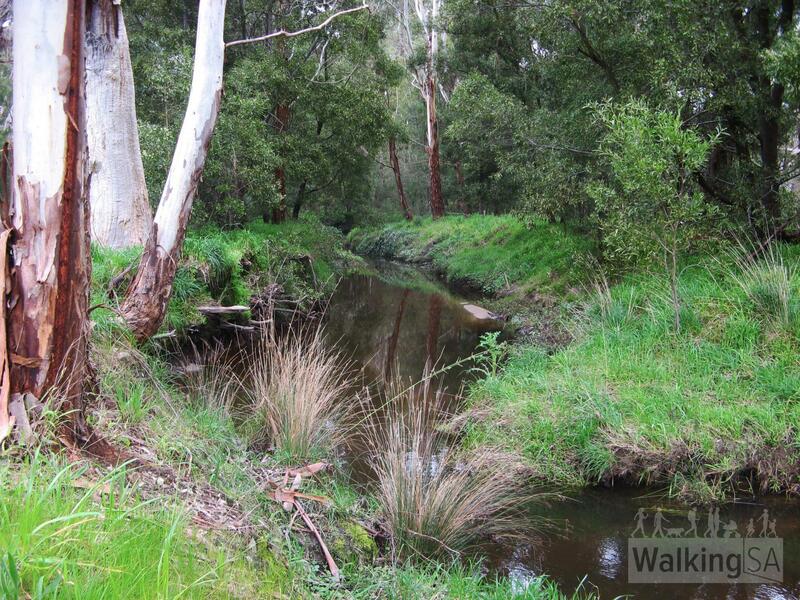 There are steps at the very start, near Old Bridgewater Mill. 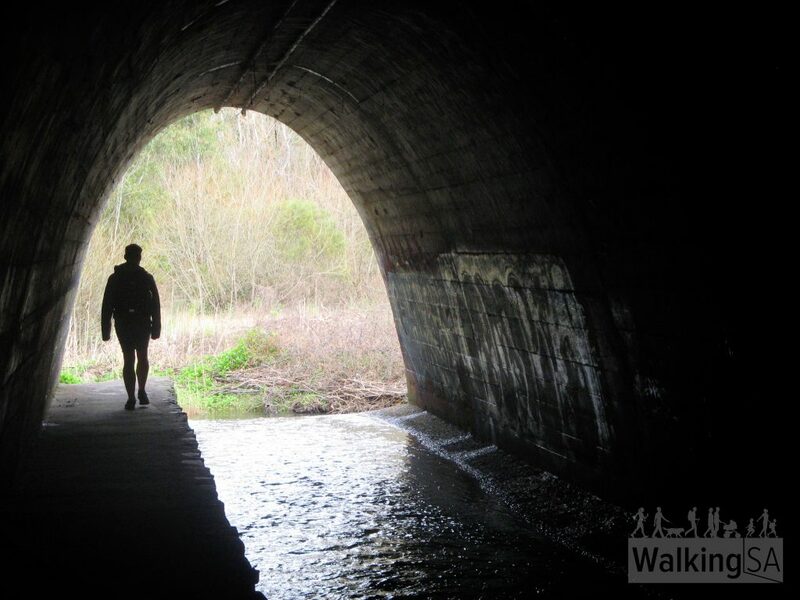 There are several steps near the railway tunnel. 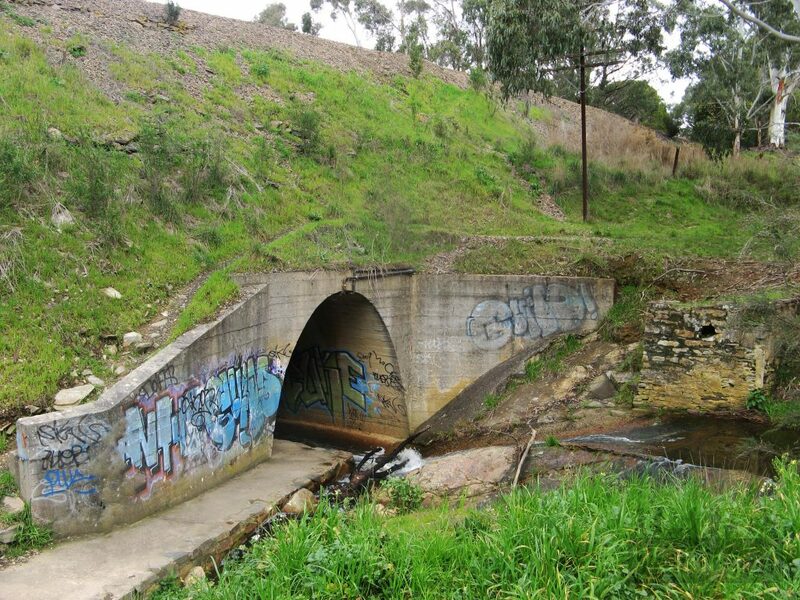 After rain there can be mud puddles near the Cox Creek railway tunnel. 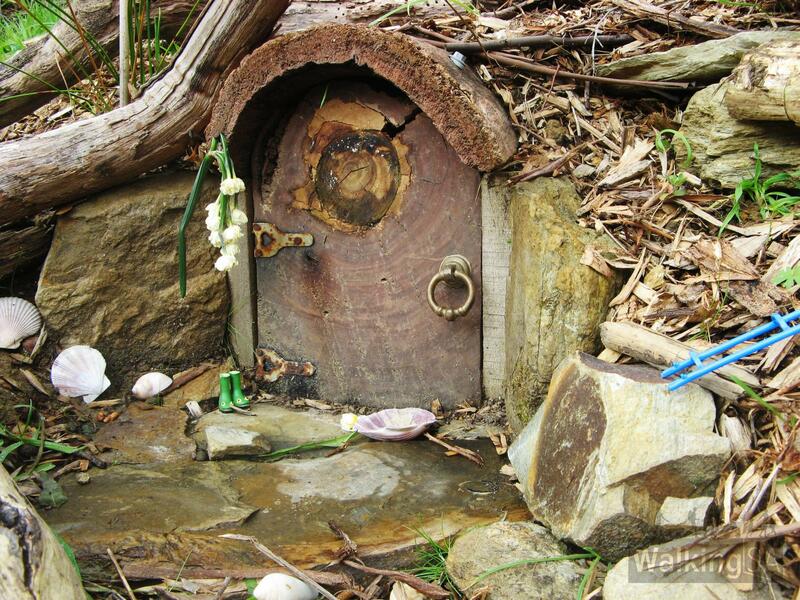 View more photos of the fairy garden on playandgo.com.au. 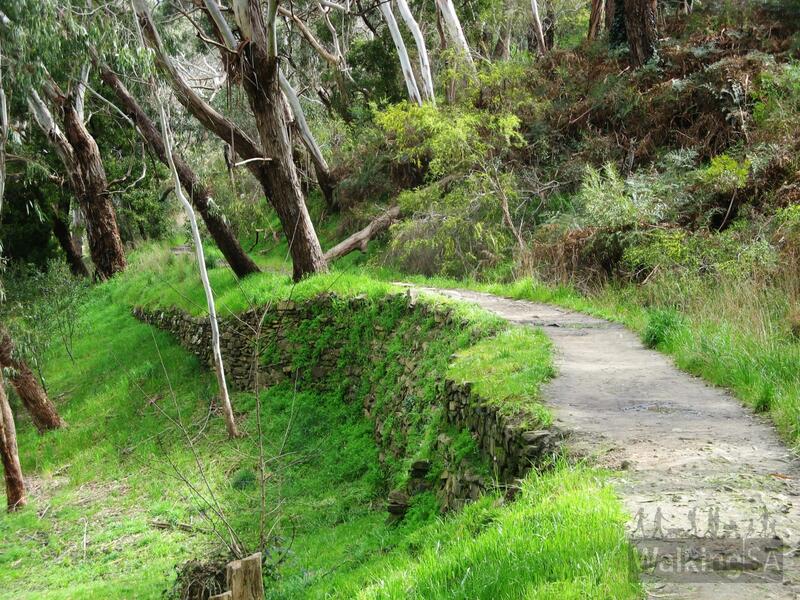 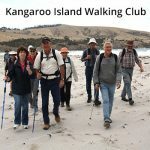 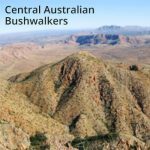 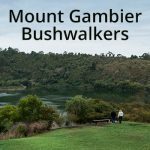 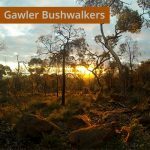 An option would be to continue on the Heysen Trail for another 750m (and another tunnel) to the picnic area in Mount George Conservation Park (dogs ok here) and enjoy a picnic, before returning back to Bridgewater. 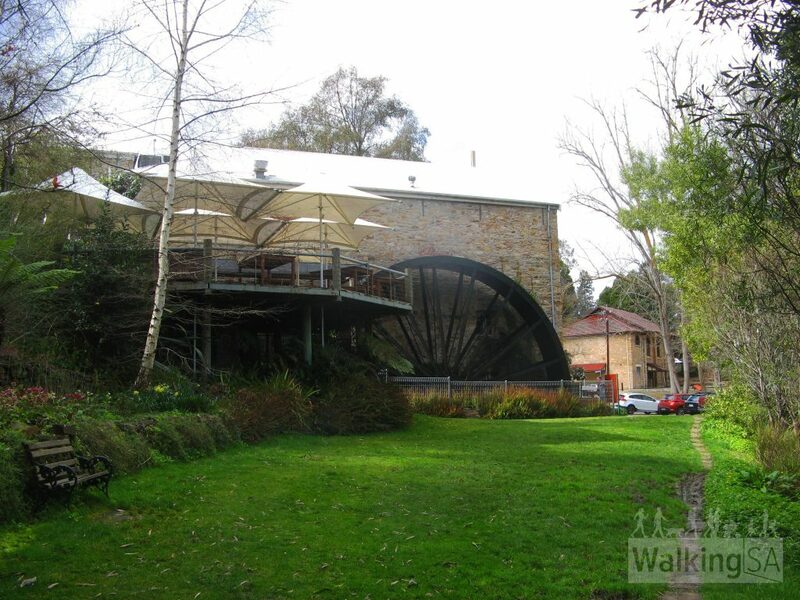 Old Bridgewater Mill can be easily reached on an Adelaide Metro public transport bus, route 864, to bus stop 46 on Mount Barker Road.